Waiting at red lights need not be a melancholy affair. Having a map to help you get around is often a good idea. This one, no doubt purchased at a Sunday flea market, may be a bit over the top. C came over for dinner the other day but she didn't quite make it past the camera. 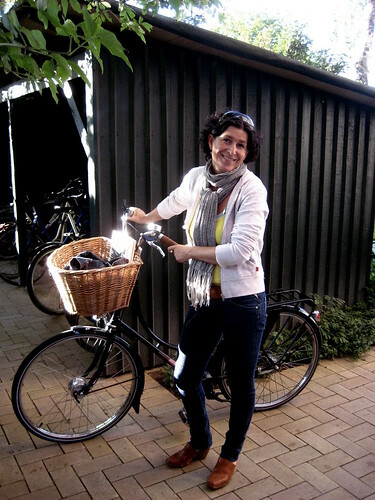 Looking stylish as ever - with or without the Velorbis Victoria. C coaches businesswomen in professional development courses here in Copenhagen. Not only that, she is one of the best friends you could evef have. 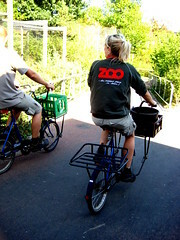 Bikes are the main way for zookeepers to get around at the Copenhagen Zoo. I like the way you incorporate "utility" into your pics. 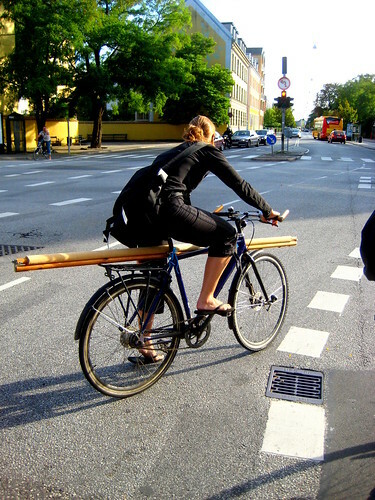 A bike's use is only limited by one's imagination. 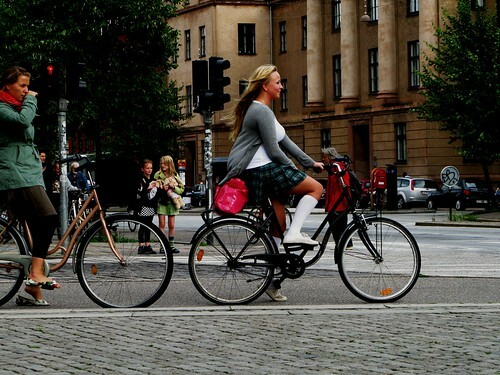 Sweet momma, if that first picture is of "normal copenhageners", I better get me to Copenhagen pronto! That profile is enough to make a man shake at the knees. More pictures like that please.